I first published this article on The American Society of Estate Liquidators® (ASEL) website in October 2014. I thought you’d appreciate the information as you select a professional estate liquidator to help you downsize or clean out a parent’s home. 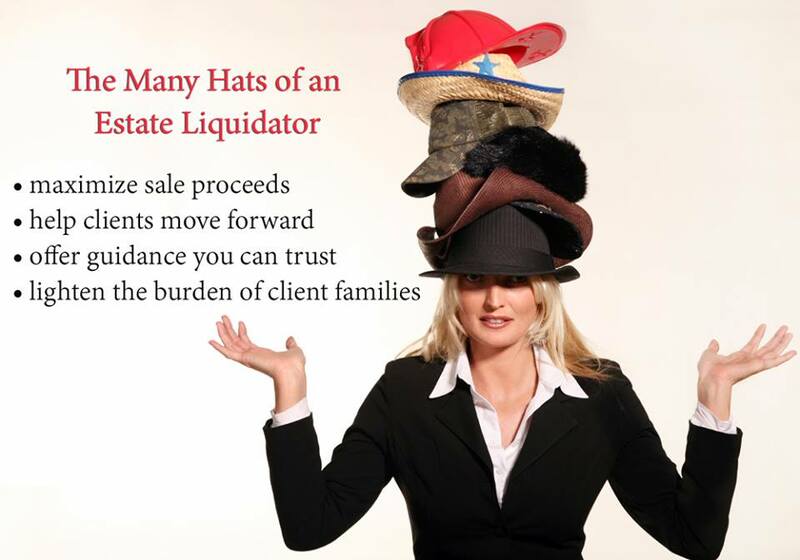 If you’ve already used an ASEL liquidator, I’d love to hear your comments on the many hats they wear. help our clients move forward. manage our clients, and the list goes on. Often the client is not aware of just how much back-breaking work and time is invested before the door ever opens for the estate sale. We take 50, 60, 70 years of accumulation and sort through it, research it, clean it, organize it and sell it within a week or so. That’s amazing in and of itself! It is up to us to educate our clients so they do understand that we truly earn our commission and do our very best for them. Below you find just a sampling of what professional estate liquidators engage in every single day, early mornings to late evenings, and seven days a week. We have bled, sweat, and cried our way through some estates, and dealt with poor working conditions too. There isn’t much we’re afraid of; we tackle the task at hand like a linebacker. We wear this challenging badge with honor because we love what we do, no matter how much we get beat up in the process. Detective – We sort through years of long forgotten items that have been crammed in boxes and cubbies. Often family cannot find important papers (titles, Will) or a sentimental item, but many times we find them. We know where to look, have a good idea of where things could be hidden, and we know what these items are, or how to find out. This is the fun part! Archeologist – We dig and dig and dig. By the end of the day, we are covered in dirt. We unearth one layer at a time searching for old artifacts and treasures. We handle carefully and lovingly the items we uncover which have value or meaning. This is painstaking, but necessary. Magician – While it appears to the client that we made it all disappear as if by magic, we know the levels of complexity it takes to empty the estate. “Can you do a sale this weekend?” There is no magic. Only hard work, the ability to professionally multi-task, knowing the right people, and selecting the right staff. Bellhop – Who’s carrying the family baggage; the client, you, or both? Stay focused and advise as necessary. Our ears are bent with family lore (and who did what to whom)! Firefighter – Estate professionals put out fires every day, whether it comes from prospective buyers or the sellers, or anything in between, including the emotions our clients go through. Police/Law Enforcement – We keep peace and order in these estates, enforce our ethical policies, “law down the law” according to the rules for how each sale should be run. These are in place to ensure a pleasant estate sale day, encourage good behavior, and keep the flow moving. Counselor/Clergy – We listen, validate, encourage, support, and hear confessions and stories. It is part of our job to offer support, including emotional support within reason. Accountant/Administrator – Pay the bills/employees, handle the contracts, handle brokering details, tally estate proceeds; we do it all. Umpire – Calling “safe” and “out” for not only attendees and clients, but also monitoring our staff conduct and ourselves as well. Train Conductor – We prevent derailment, get everyone on-board, and get the clients where they need to be. Psychic – Can you predict human behavior based on all of your estate experience? Yes, you can. We’re very good at reading people and understanding motives. Nurse/Doctor – Not only do we help heal many of our clients who are heavy laden and would have a very difficult time going through the process alone, we must remember the most important rule: First, do no harm. Clients come first. In the literal sense, we have all mastered first aid, as we bleed in nearly every estate! Construction worker – We build this business from the ground up and create a very strong, honest/ethical foundation to weather the storms. If the foundation is not strong, we need to rebuild, remodel, tear down, or bring in a new addition. Referee – Keeping the peace on all sides, at all times. These are just a few of the many hats estate sale professionals wear on any given day, but there are many more that often go unnoticed; employer, exterminator, garbage man, dumpster gal, recycler, haul/drop-off person, organizer, companion, cleaning service, broker, miner, etc. How much can one truly professional estate liquidator accomplish? It’s all in a day’s work! Everyone needs to renew and restore their spirit every now and again, especially in such a hurried society. Some people go away to the country or the beach where they find solitude and solace as a remedy for feeling overwhelmed and worn out. It is a good thing to do so. But do we really journey inside ourselves and heal what’s in there? I’m willing to stick my neck out and say I don’t necessarily think so. Today as I approached my car in the driveway, I saw a kooky little bird sitting on the driver’s side mirror, behaving in the strangest manner. It was completely enamored with its reflection in the mirror. Its little feet danced and it bobbed its head like crazy, joyous that it found an amiable friend … one that looks just like it! It was so preoccupied with its reflection that it was not deterred by my presence only 3 feet away. The next thing you know, the little bird side-stepped along the rim of the driver’s side mirror until he was completely upside down, flapping its wings and having a wonderful time looking at its new friend. Don’t you wish we could greet ourselves each day in the mirror just like this? Everything is relative. 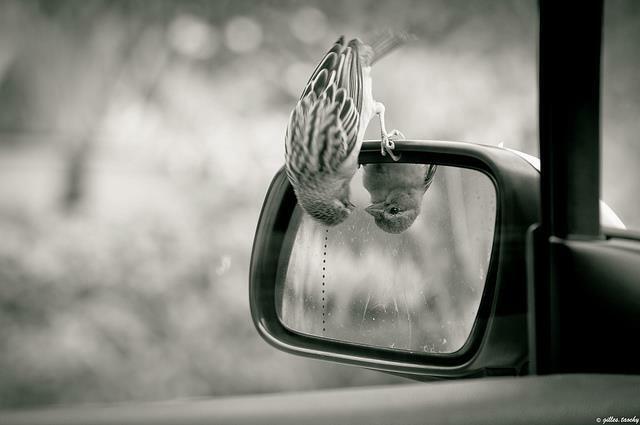 The little bird does not have the advanced intellect to realize it was him in the reflection, yet he was a free spirit having the time of its life. When we, the highest created intellect on earth, look in the mirror, we don’t see who we really are or even like the reflection we see. We are too self-critical. So many of us really don’t want to go there, but we need to, in order to restore ourselves and make peace with the person inside. Nature has always been amazing to observe. It teaches us lessons if we pay attention. Because of that little bird, I will look at myself with more enthusiasm from now on. How could you not smile when you witness something like that … a tiny creature with a Herculean spirit. An important lesson for us all. Older “die-hard” collectors are passing away and selling their massive collections all at once. So who is going to buy all these items? Some will be sold to today’s collectors, though far fewer in number than serious collectors years ago. Hence, these collections are saturating the market, driving prices and values lower. Too much supply, not enough demand. Let’s return to the seller wanting to sell items they believe are valuable just because mom paid a fortune for them. They believe what they have is special and unique. Most of the time, figurines, china, collector’s plates, glassware, Victorian furniture and the like have saturated the market because millions of our moms and dads are passing away. Boomers are downsizing. Generation X and Y don’t want these items. Millennials are into themselves, not material possessions. These younger generations collect virtually, not materially. 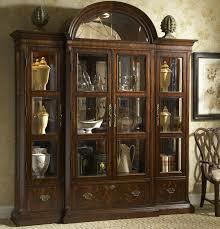 When an heir is looking to sell Lenox, Waterford, Hummel, Franklin Mint, Depression glass, antique furniture, large wardrobes, entertainment centers, and china hutches, the estate experts only have to show how very flooded the market is to get the consumers to understand that these items are now worth very little. When I look on Ebay and see a “sterling silver lot of 50 grams,” I wonder why on earth one would attempt to sell it for $200 when it would barely get $30 with the current spot price of silver, unless it was a unique designer piece or desirable manufacturer. Asking outrageous prices for items that are clearly not worth it any longer will backfire on the seller. It is what it is. No expert, myself included, can alter these trends of simplification, downsizing, and squeezing more bang out of a buyer’s buck than we already do. The market is speaking and we need to listen. Another issue? Many people with a smart phone in their hand believe they are an expert. I can assure you they are not. They just Google over-inflated prices, unless they are wanting to buy. If they are buyers, they search for the lowest possible prices in hopes of getting an item at a small cost. These issues are just the tip of the iceberg for what experts are dealing with as they handle personal property while managing clients’ expectations. It takes an expert many years to understand trends, observe patterns, know how to maximize value, and offer the best value for the client. Do-it-yourselfers often do themselves a disservice by not enlisting the assistance of a professional who is experienced in all of the above. Where do people come up with these prices and values? Understanding the difference between what was paid for an item and what you can sell the item for in today’s market is like the difference between buying a new car and selling it used. Depreciation has taken place in most cases. Much has changed in the secondary marketplace. Sellers must realize that there must first be someone who wants the item (demand) in order for it to have and hold value. People still call my office to inform me of what their items are worth, even though they are hiring me to find out. I don’t normally mind when they say they already know the value because they “found it on the internet.”. Many of them have it wrong or have searched incorrectly. They see an “asking” price – a ridiculously high dollar figure that came from someone else’s head – which is now stuck in their head. They would like to believe and hope that this is the value. The responsibility for sharing valuation knowledge with clients falls to all estate experts. We have to help clients set reasonable expectations. Some people will heed what we have to say, while others will continue to believe that if it was valuable in 1982, it must be more valuable today. These individuals are in for a rude awakening, resulting in anger and frustration which they will probably take out on the individual selling their items for them. Who comes up with values? Ultimately, it used to fall on the serious collectors who set trends and values. Marketability and collect-ability are somewhat related. If an item belongs to a category of objects that people desire and collect, then logically that item’s value increases. However, we need to consider that the current market is fairly saturated with many of the collectibles that were highly sought after 20, 30, 40+ years ago, back when our parents’ generation paid top dollar for them. Older “die-hard” collectors are passing away and selling their massive collections all at once. We’ll look at how this complicates the market and depresses the values next week in “Perils of Preposterous Pricing, Part 2”.